Make your home pop by introducing this fantastic media unit. It has a gorgeous black colour which matches its fantastically modern glass material. 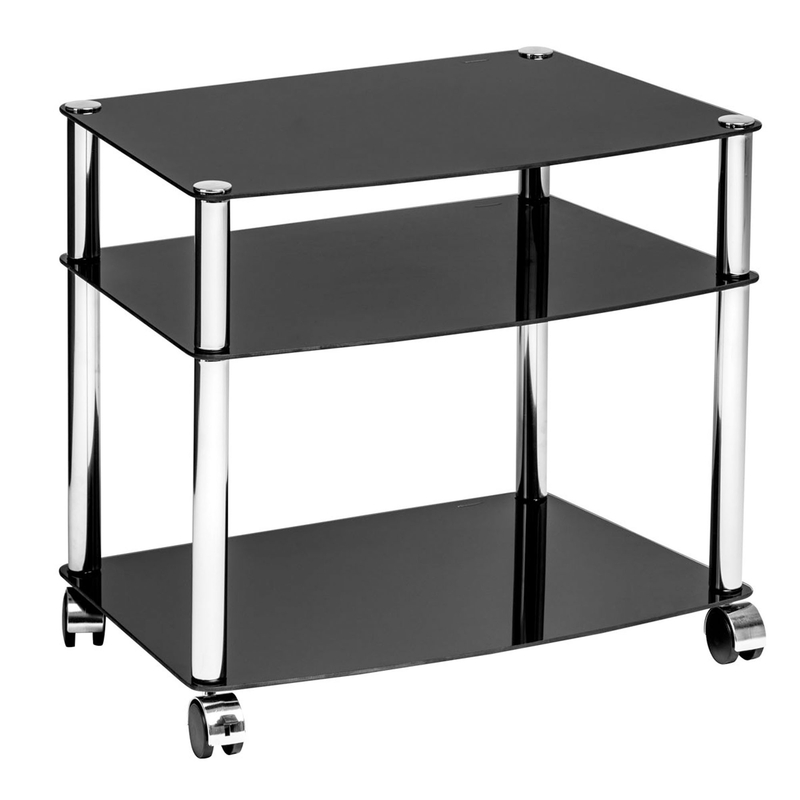 This black glass media unit would be perfect for holding a television and extras, this media unit contains 3 shelves and wheels for added practicality. It'd truly suit a contemporary home or make any home feel more modern.